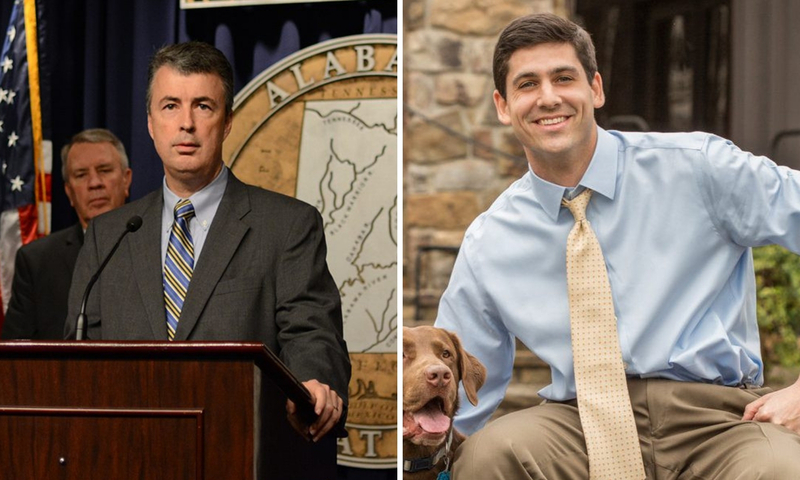 In the attorney general’s race, appointed Republican Steve Marshall out-raised his Democrat opponent, first-time candidate Joe Siegelman, two to one, but the pair ended the month essentially dead-even in cash on hand. Despite raising millions in the Republican primary, Marshall only raised $224,700.00, according to his Oct. 2 FPCA report. On the other hand, Siegelman reported cash contributions of $92,993.20 for the same period. Siegelman’s report shows 20 pages of mostly small donors while Marshall’s campaign continues to be funded by lobbyists and special interests with business before the state. While Marshall’s donors are primarily big monied interests, oddly, he has support from several left-leaning groups with ties to the Southern Poverty Law Center and other liberal causes. Even though he is currently pursuing a lawsuit that would strip away provisions of the Affordable Care Act that prohibit insurers from denying patients with preexisting conditions, the Alabama Hospital Association is backing Marshall with another $10,000.00 contribution in September, bringing the total to $20,000.00 for the general election. Siegelman has promised to not only protect those with preexisting conditions, he wants to see ACA expanded to low-income families across the state. Marshall has yet to answer for $735,000 in contributions from the Republican Attorneys General Association, whose contribution to his primary bid falls outside of the state’s campaign finance laws. The matter is before the state’s ethics commission, which met yesterday and failed to address the alleged illegal contribution, once again showing the ethics commission is a political institution, not an enforcement arm as was intended under state statute. Marshall’s campaign has not reported receiving any further cash contributions from RAGA since the money was questioned during the primary. He has however failed to report an $18,500.00 in-kind contribution from RAGA dating back to before the primary, which is another campaign law violations. Siegelman listed $46,069.90 in expenses for the period, while Marshall spent $108,966.75 for the month. A JAJ Consultants, LLC was Marshall’s most significant expense for September, with $31,008.90 going to 8409 Owls Hollow Road in Gadsden, which according to Google maps is a vacant lot. The rivals ended the month with nearly the same amount of cash on hand, with Marshall having $236,489.55 to Siegelman’s $208,788.72. They will face off on Nov. 6.